“I felt accomplished and great that I did something literally bigger than myself,” expressed Tukai, a student from Salluit, Nunavik who took part in the Healthy Horizons Foundation's Destination Marathon this December. Healthy Horizons Foundation was founded by The North West Company to support youth programs within the communities we serve. 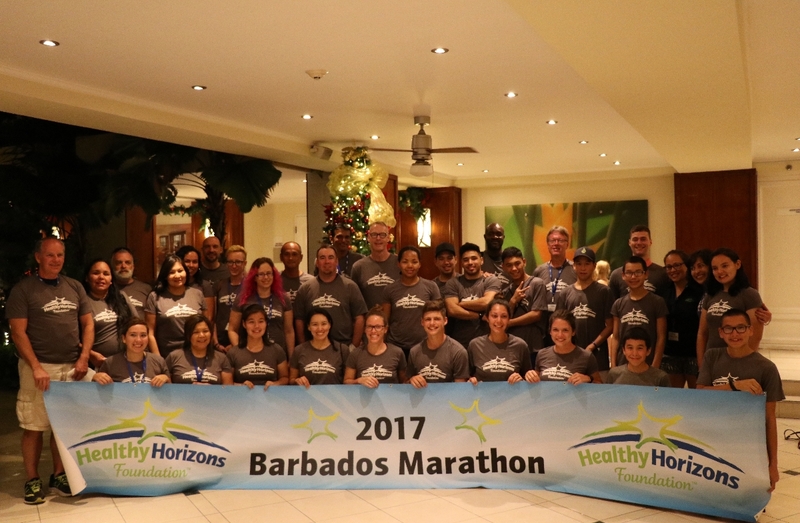 Tukai joined 28 runners from various remote northern communities to take part in the Run Barbados Marathon in support of the Healthy Horizons Foundation. He was one of the 14 runners who were members of the Nunavik Run Club, a unique running program designed to cultivate resilience, hope and self-belief in students. The Nunavik Run Club was launched by Maggie MacDonnell, a former teacher in Salluit who has received global recognition for her innovative approach to education. Maggie now works as an Educational Consultant with the Kativik School Board in Nunavik. Maggie points out that the run club is much more than an outlet for physical training. “I believe it motivates students to commit to a healthy and active lifestyle,” says MacDonnell. Participating in Healthy Horizons’ destination marathon required a great deal of preparation which taught participants the benefits of persistence and hard work. “There are no shortcuts to training for a half-marathon. This type of event brings out a lot of commitment from the youth,” says MacDonnell. In addition to the countless hours of physical training, each student participated in fundraising activities. To help with their fundraising, the team collectively organized BBQ’s, Movie Nights, Spaghetti Dinners, Raffles and Bake sales. In the end, their hard work and dedication paid off. With over $70,000 raised to support communities like their own, the runners headed to the beautiful island of Barbados where they had the opportunity to compete with hundreds of other runners from around the world.